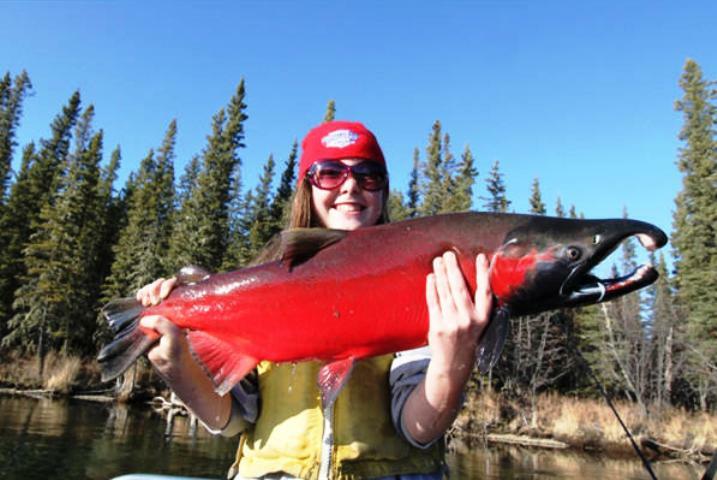 The Kenai river salmon season will be firing up here pretty soon with small numbers of king salmon beginning to enter the Kenai River in early to mid-May, and increasing numbers through the end of May. 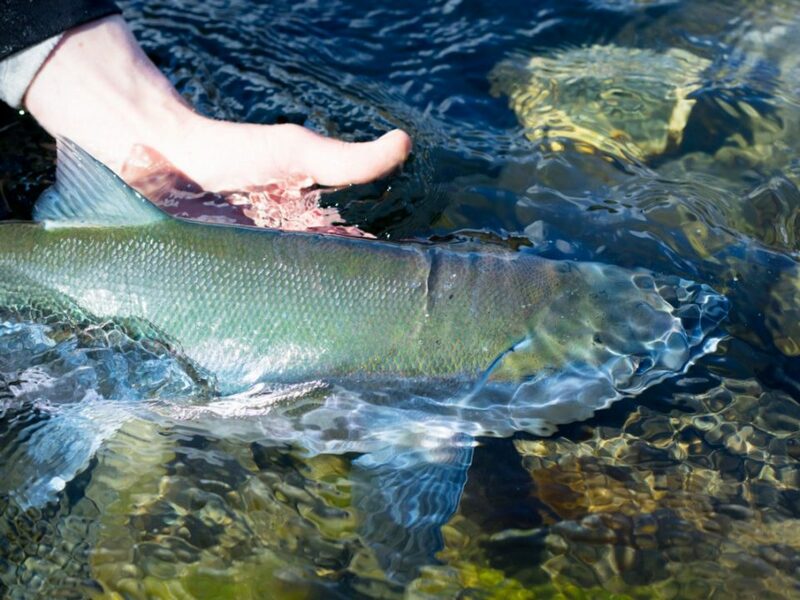 The ADFG operates a Chinook salmon sonar site upriver, and sonar estimates are generally available by the end of May on the Sports Fishing home page. 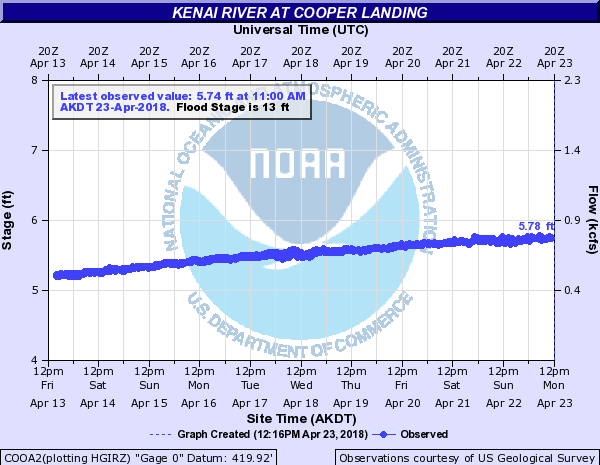 Most waters of the Kenai River in May are open to king fishing. There are some closed areas, so be sure to check the regulation booklet carefully. 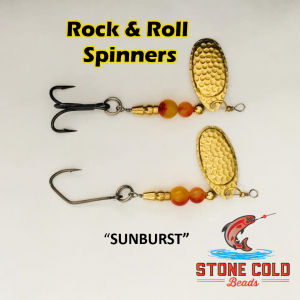 Legal tackle is single-hook, unbaited, artificial lures/flies. You’ll need to learn and adhere to the early-run king salmon length regulations found in the regulation booklet as well. Kenai River shore anglers may find success fishing the flooding tide from Cunningham Park in Kenai, or near the Warren Ames Bridge. Upriver in Soldotna, shore anglers cast from the boardwalks at the Soldotna Visitor’s Center, or from the City of Soldotna’s Centennial park or Swiftwater campgrounds. Another opportunity is surf casting into salt waters at the mouth of the Kenai. There’s a City of Kenai parking area on the north shore, off Spruce Drive. Bait and treble/multiple hooks may be used in salt waters year-round. 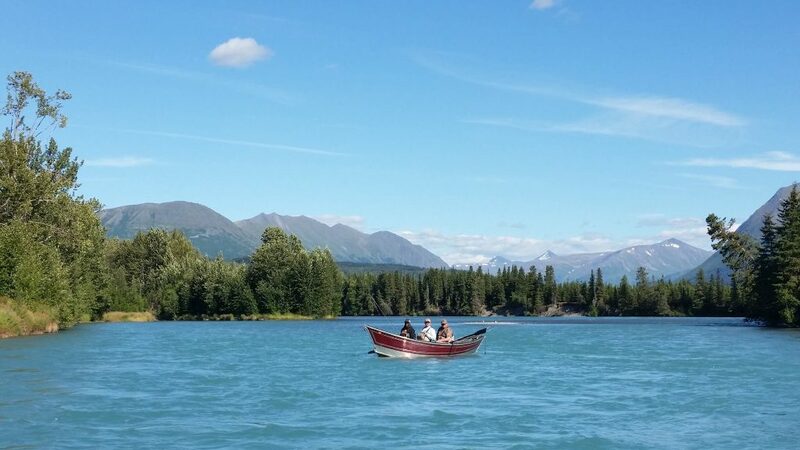 In the fresh waters of the Kenai, no bait is allowed until July 1, and treble/multiple hooks are not allowed until August 1. The early run usually peaks in early June. Popular freshwater lures include single-hook Spin-N-GlosTM, PixeesTM, and VibraxTM. Popular plugs for fishing from boats include KwikfishTM and Wiggle WartsTM. A single hook has only 1 point (with or without barb). Whichever lure you choose, be sure it’s heavy enough to reach the deeper channels, where Chinook prefer to run. 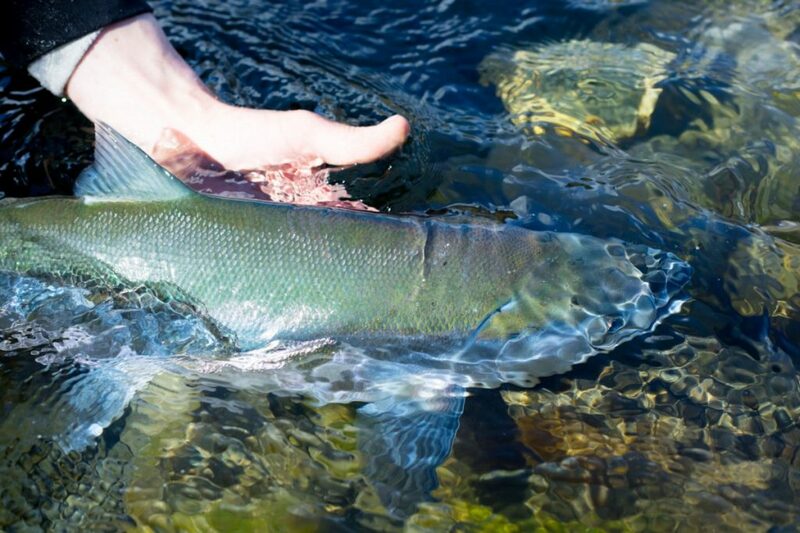 The average size of a Kenai River early run Chinook is about 30-45 pounds. Occasionally, Chinook up to 75 pounds are caught. 35-lb. monofilament line is the minimum recommended. The early run of kings to the Kenai is managed under the terms of the “Kenai River Early-Run Chinook Salmon Management Plan” (5 AAC 56.070). Escapement goal range is 5,300 – 9,000 king salmon. The number of kings that have escaped is determined in part by a sonar estimator near River Mile 8.6. Sonar estimates are posted online, as is more information about the Kenai River sonar program. Creel surveys and test netting are additional methods used to determine the number of kings that have escaped harvest. 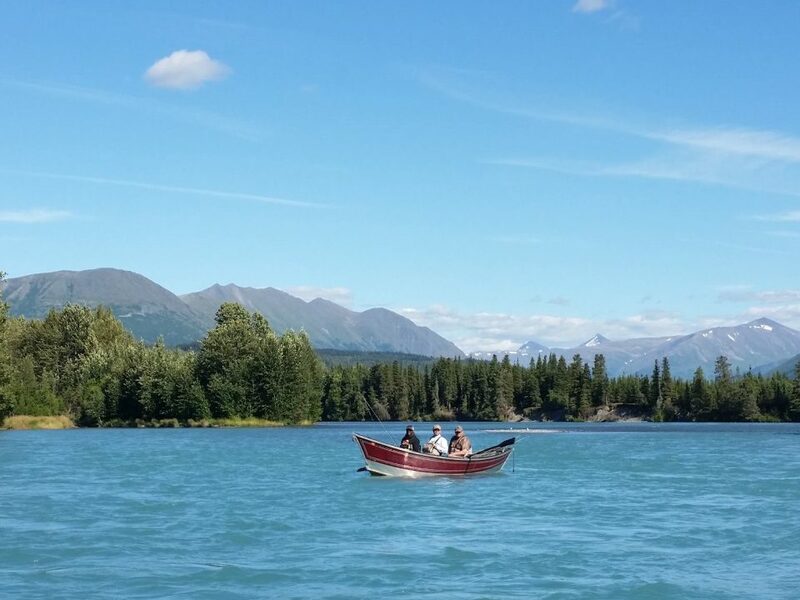 This concludes our 2018 Kenai River Fishing Report. Click the link here to view our Kenai River Fishing Map, for all fishing access points, or our Kenai River Fishing Calendar and more! Lunker’s Guide 2018 Kenai River Fishing Report!